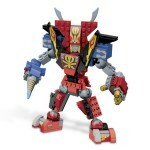 Tokunation › Power Rangers › Super Megaforce Mega Bloks Q-Rex Megazord, Ultimate Legendary Megazord & more! 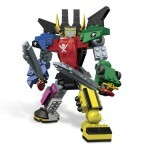 ShukuenShinobi found these Super Megaforce Mega Bloks listings with pictures from their site earlier. Pictures are in the attachments. 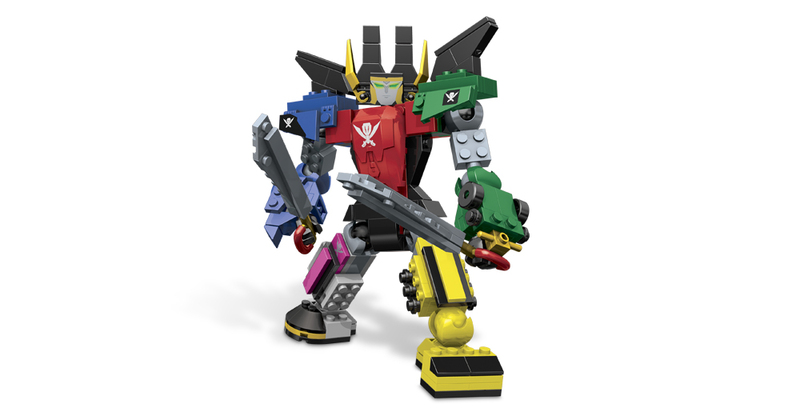 Combine the ultimate power of the Super Megaforce zords to destroy the Armada’s most powerful generals and build the Mega Bloks Power Rangers Super Megaforce Ultimate Legendary Megazord. 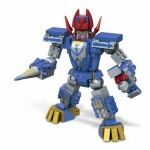 The Ultimate Legendary Megazord is a completely buildable Megazord that is based on the final form combination of the Legendary Megazord and the Q-Rex Megazord. Feel the power of Super Megaforce team as you pilot the Ultimate Legendary Megazord and unleash the power of the Super Megaforce Power Rangers onto the invading Armada! 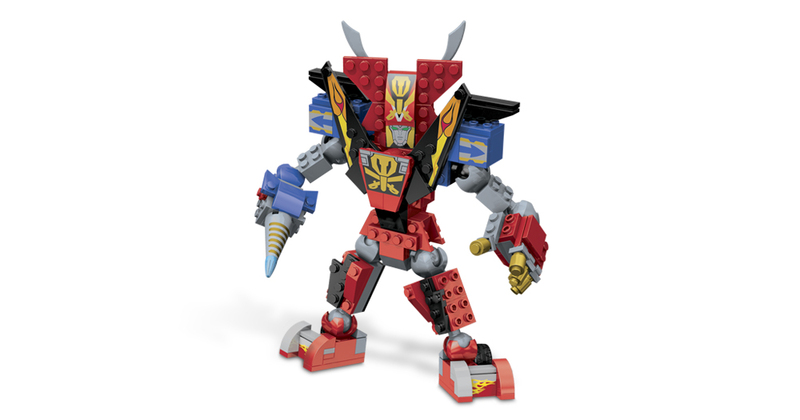 Compatible with all Mega Bloks Power Rangers Super Megaforce toys! Call upon the awesome might of the Super Megaforce Silver Ranger’s personal Megazord and build the Mega Bloks Power Rangers Super Megaforce Q-Rex Megazord! 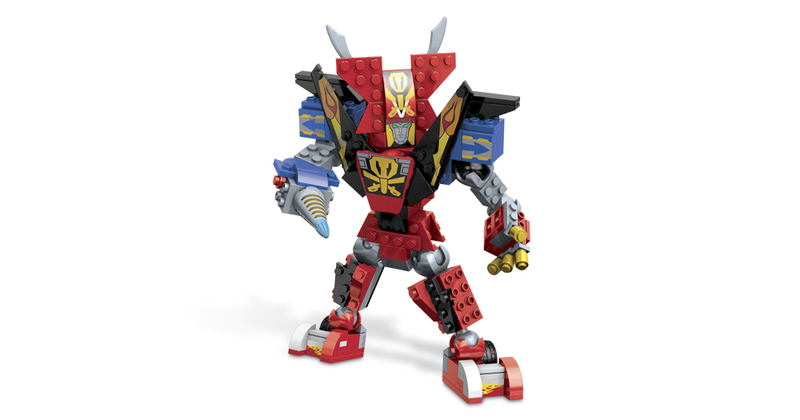 This powerful Megazord was inherited by the Super Megaforce Silver Ranger from the Legendary Time Force Quantum Ranger. 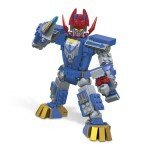 You can construct the Q-Rex Megazord in Robot Mode and use its huge drill to take on any Armada giant that attacks the Earth. 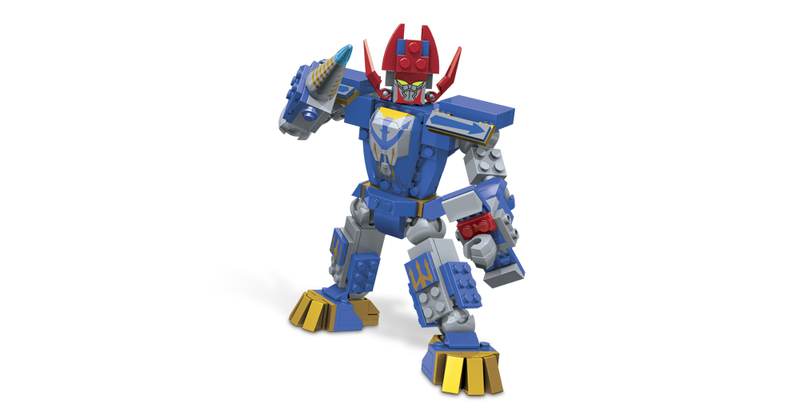 Call upon the power of the five Zords and build the Mega Bloks Power Rangers Super Megaforce Legendary Megazord! 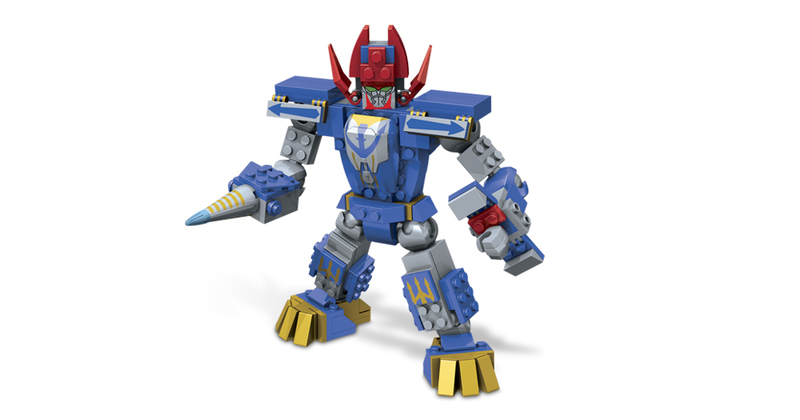 This colossal Megazord is the combined form of the Sky Ship, Super Mega Jet, Super Mega Wheeler, Super Mega Racer and Super Mega Sub – a beacon of epic proportions ready to combat the forces of the Armada. 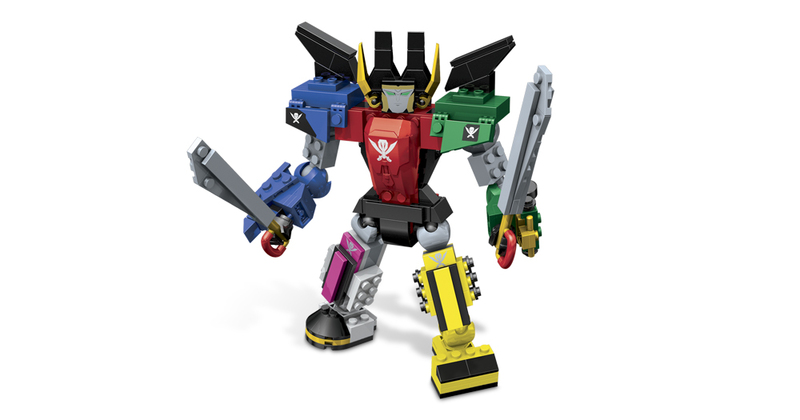 With dual Super Mega Sabers in hand, the Legendary Megazord is ready to take down the next Armada Attack! 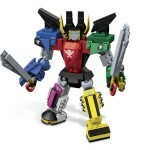 Morph into action as Super Megaforce rangers, Legendary Rangers or Armada villains with the Mega Bloks Power Rangers Super Megaforce Micro Action Figure Collector Pack Series 1! Each Collector Pack contains a fully armed micro action figure ready to join the fight between good and evil! Current Super Megaforce Rangers and Legendary Rangers from the past join up to the fight against Prince Vekar’s minions from the Armada. From common to ultra rare – including a super secret micro action figure to collect – a surprise character is found in every pack! Ideal for ages 4 to 7. Lead a squad of Bruisers and X-Borgs in an aerial attack and swoop in on the unsuspecting citizens of the city with the Mega Bloks Power Rangers Super Megaforce Damaras Air Glider. Build Damaras’ glider and have him hang on tight as you launch him into action, trying to destroy the Super Megaforce Rangers and conquer the Earth! 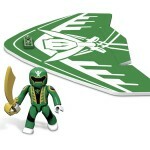 Buildable Power Rangers Super Megaforce foam glider that really flies! Two different ways to fly! 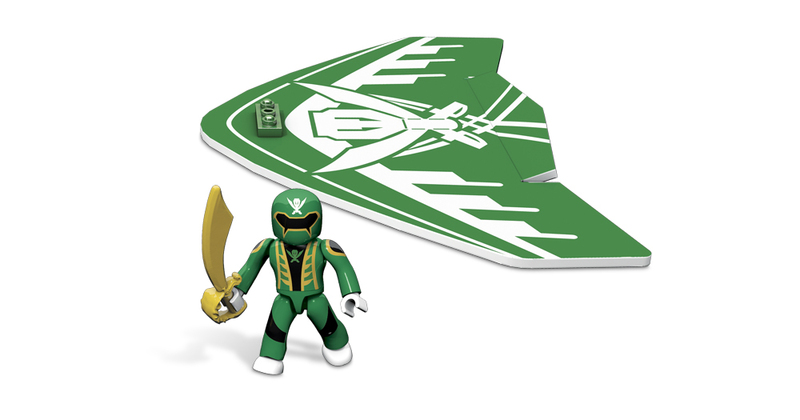 Fly over the tallest buildings, lock on your target and drop in on the forces of evil with the Mega Bloks Power Rangers Super Megaforce Green Ranger Air Glider. Build the Green Ranger’s glider and have him hang on tight as you launch him into action and save the day from the evil Armada! 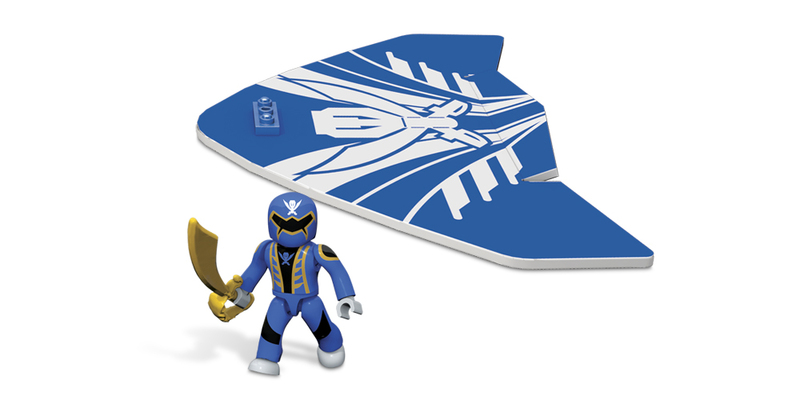 Circle over the mountaintops, lock on your target and drop in on the forces of evil with the Mega Bloks Power Rangers Super Megaforce Blue Ranger Air Glider. Build the Blue Ranger’s glider and have him hang on tight as you launch him into action and save the day from the evil Armada! Soar high through the clouds, lock on your target and drop in on the forces of evil with the Mega Bloks Power Rangers Super Megaforce Red Ranger Air Glider. Build the Red Ranger’s glider and have him hang on tight as you launch him into action and save the day from the evil Armada! 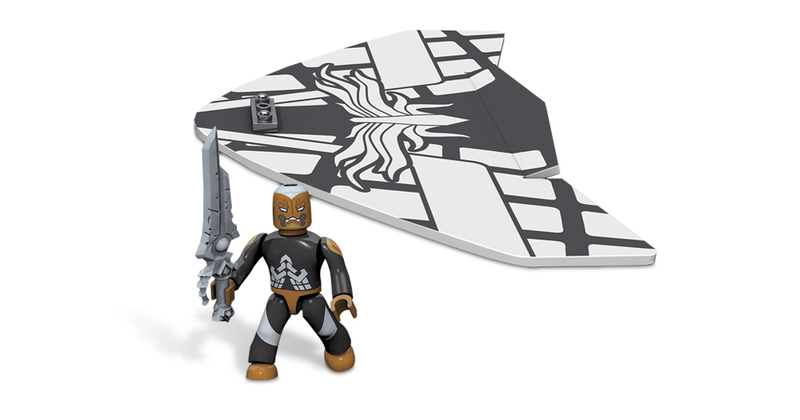 Build sky-high adventure, soar into battle and dropkick the Warstar Aliens back to their own galaxy with the Mega Bloks Power Rangers Megaforce Black Ranger Air Glider. Build the Black Megaforce Ranger’s glider and have him hang on tight as you launch him into action, sending him sailing through the air to save the day from a Loogie attack! 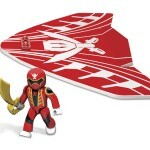 Buildable Power Rangers Megaforce foam glider that really flies! 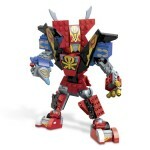 Compatible with all Mega Bloks Power Rangers Megaforce toys! 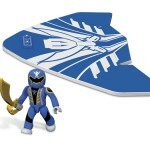 Build sky-high adventure, soar into battle and dropkick the Warstar Aliens back to their own galaxy with the Mega Bloks Power Rangers Megaforce Blue Ranger Air Glider. Build the Blue Ranger’s glider and have him hang on tight as you launch him into action, sending him sailing through the air to save the day from a Loogie attack! Um... what's with the RPM Red Ranger? Either Kanzen GokaiOh or Clash of the Red Rangers. I think he was speculating which set it'd be included with/why its getting released. Good thing we're told that's Damaras, because I'd have no idea otherwise. That doesn't really resemble him at all. Gokaioh's hat's also made rather bizarrely, but the Kanzen is kind of cute. 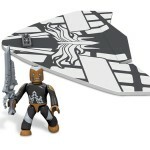 While it's super cool they're using all mega Bloks pieces, the sets don't look THAT great. I think they look pretty cool, and I'll definitely consider making them using LEGO to avoid the horrible megabloks plastic quality. I would have liked to see the zord named something other than Q-Rex but they already have the trademark and the name fits. So why not?